Published on October 27, 2009 in figma, iphone, Photo Box and Updates. 5 Comments Tags: di:stage, figma, figma:drossel, figma:unison_hayate, iphone, reinforce zwei, suenaga mirai. This past weekend I downloaded a video to my iPhone through iTunes and iWatched it on my iPhone. The problem was that my iPhone was at desk level, so I had to look down to watch, making it difficult. 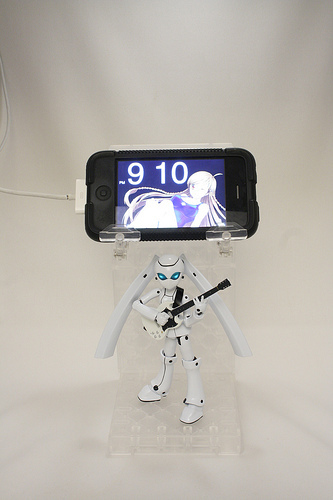 So I did what any figma maniac with a di:stage would do: I made a stand for my iPhone! 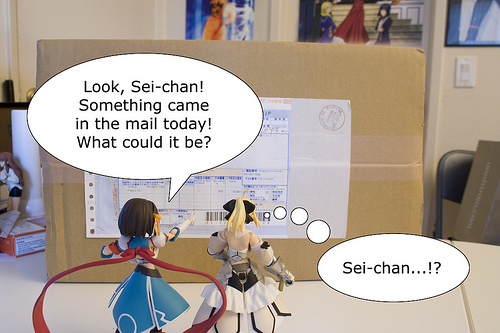 The Yuuichi-kun's figma Universe archives for the figmadrossel tag.